للمسافرين الذين يرغبون أن يعيشو كل ما تقدمه كورال كوست, Gecko's Resort هو الخيار الأمثل. يسهل الوصول إلى هذا الفندق ذو 3 نجوم من المطار، فهو يبعد عنه مسافة 60 km فقط. يضفي محيط الفندق اللطيف وقربه من Sigatoka Sand Dunes National Park سحراً خاصاً على هذا الفندق. استمتع بالخدمات الراقية والضيافة التي لا مثيل لها بهذا الفندق في كورال كوست. يقدم الفندق فرصة للاستمتاع بشريحة واسعة من الخدمات بما فيها: واي فاي في المناطق العامة, صف السيارات, خدمة الغرف, التوصيل من وإلى المطار, رعاية أطفال . في Gecko's Resort غرف نوم يزيد عددها عن 28 صممت بذوق وعناية لتوفر لك كل وسائل الراحة . بعضها يحتوي أضاً على غرف لغير المدخنين, مكيف هواء, ستائر التعتيم, اتصال لاسلكي بشبكة الإنترنت (تطبق الرسوم), تلفزيون. صممت خدمات الاستجمام في الفندق والتي تتضمن مسار جولف - ضمن 3 كم, حمام سباحة خارجي, تدليك, حديقة, غرفة ألعاب لمساعدتك على الاسترخاء والراحة. استمتع بخدمات لا يعلى عليها وعنوان ذو اعتبار في Gecko's Resort . ولدواعٍ أمنية، يُرجى العلم أن منتجع "جيكو" يطلب تفاصيل بطاقة الائتمان أو دفع مبلغ تأميني عند تسجيل الوصول لتغطية أية مصروفات عرضية. Good but sometimes they miss the stock up in rooms. It's an average resort with minimal amenities. Short drive away to the Sand Dunes. Staffs were all friendly. BEWARE: There were lots of frogs and some lizards all around the resort. There's more frogs at night, covering the pavements. I went back one night to more than 5 frogs outside my room. A great place to stay a night or two if you dont mind the frogs. Staff exceptional. Facilities wonderful. After staying in both Suva and Denerau, this was a welcome oasis. Lovely and quiet, clean, lovely food (well priced). Only stayed one night, but wished it had been more. Left there having thoroughly enjoyed our time. Totally overpriced low Quality food. Food is cooked from frozen ingredients. Is completely necessary to have own rented car to drive another better and cheaper restaurants in Sigatoka or Korotogo Sunset strip. Accommodation is not bad,but staff is not very friendly if you are not sit in the resort and spending all of your money for overpriced food. 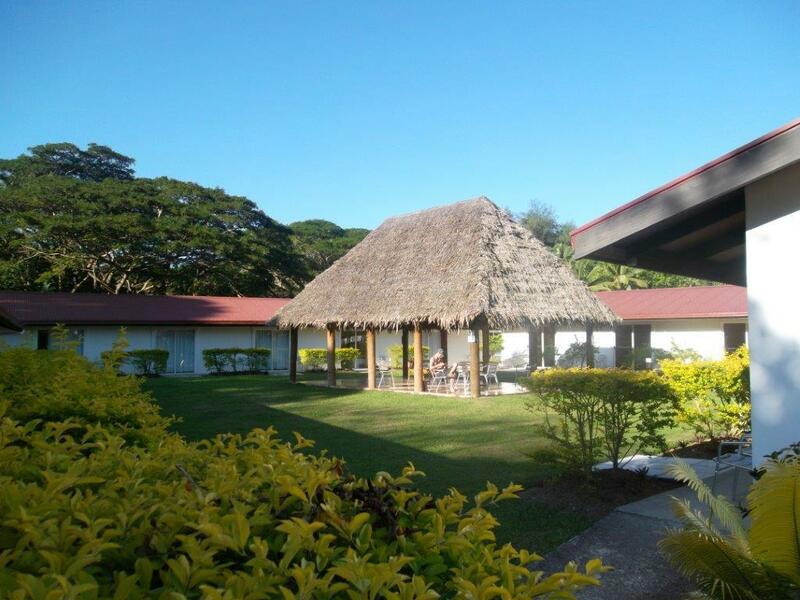 Typical Fijian 'money trap resort' with lower price per accommodation and astronomy price per low quality of food. Please avoid to them. Loved our stay here with our 2 year old. Price was incredible, room was big and clean, tv and dvd player both worked with a huge range of free dvds from reception, food portions were large, great value and very tasty, pool was simple but clean, our toddler loved the fish pond, and the staff were lovely. Not much else you could ask for really, would stay again without a doubt. Great little resort. Wonderful staff who call you by name. The food is excellent. We asked for a quite room at the back of the resort. Room 21 was perfect. I used the Spa and it was good value for money. The laundry is cheap and back the same day. We had no TV stations. This really needs to be fixed. Highly recomnend Geckos for a few days break. Gecko's is a very pleasant and convenient place to stay, this is my 3rd visit and i would always return as it serves the purpose well for my business travel. It's a very nice place and the staff make you feel at home. There is not much to do in the resort, but you can always take a 2 minute journey over to Shangri La Hotel with a taxi and enjoy the beach, just don't bother to eat dinner over there, it is over priced and mediocre. I highly recommend the Indiana Curry house 5 minutes away! rooms are simple but very comfortable (I would put softer pillows though), AC, hairdryer, safety box. the food was very disappointing, tasteless frozen seafood and meat (if it wasn't for the super garlicky salty heavy sauce that they add on top). they should put some tiles around the hedge of the pool, it will look so much nicer and less cheap. it is not by the beach or overlooking the ocean. staff are the friendliest than in every place we have been in Fiji. This place was great staff were friendly, accommodation and resort was clean and tidy, kids had a ball, we will definitely be heading to Fiji again and staying here. Staff interacted with the kids, entertainment was on point and lots of great memories. This a great place. Next to the sea but not right on the seafront - in my opinion that's the only reason its not a 5 star. A great curtural village display and the guided tour was fantastic. They really went the extra mile in the explaination and demonstration. Another good plus for this resort is that they have a portable fan in the room so when the air conditioner has got the temperature to the desired temperature you can just circulate the air; this is an environmentally friendly feature saving power and saving the environment. Fans use a lot less power than air-cons. 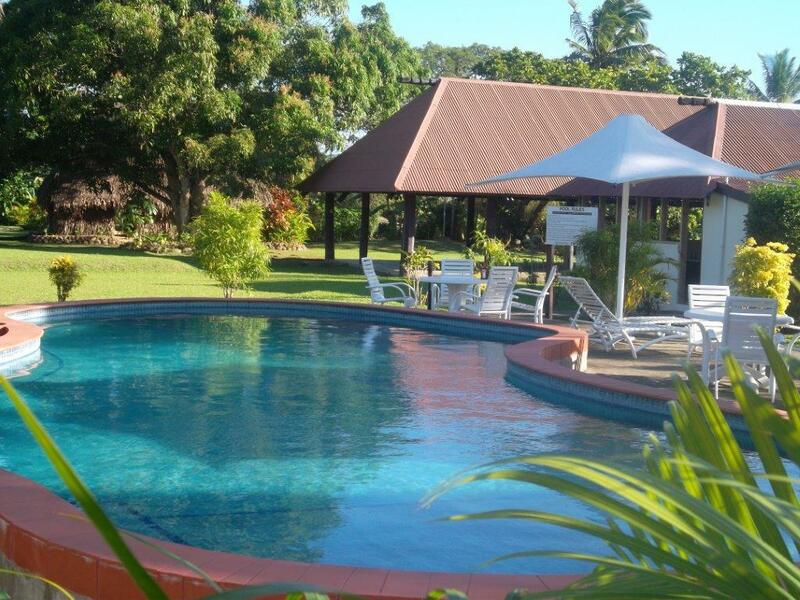 Staff friendly and helpful, very quiet resort, handy to Sigatoka (10 minutes drive) Excellent value for money. note: you can no longer use the facilities at the Shangri La resort, as people on earlier feedback have said. Clean and comfortable, and very resonably priced. Awesome accomodation and food and exceptional value for money. The friendliest staff made us feel at home from the moment we were picked up at Nadi airport. Pristine rooms and well maintained grounds. Slightly out of the way in terms of distance from Nadi and Denaru for tours etc. but the accomodation was above and beyond our expectations in every way. Wouldn't hesitate to return. The resort offers fantastic value with an excellent restaurant that attracts customers from other resorts, nightly entertainment with the Fijian dancers involving the adults and children. The resort has a small swimming pool and a media room with access to Fox. The staff are also very friendly. Staff were so kind and friendly, always addressing me by my name whenever they saw me. Room was spacious and clean. Lovely meals and the Friday \ Sunday night shows were very family friendly. Was a bonus to have access to the Shangri La Resort for daytime activities as well. A great little resort for a quiet, relaxing break. We are glad we chose Geckos over larger resorts. Smaller, quieter and friendlier. The staff really make this place, they are amazing and nothing is too much. Food is very well priced and a very good standard. 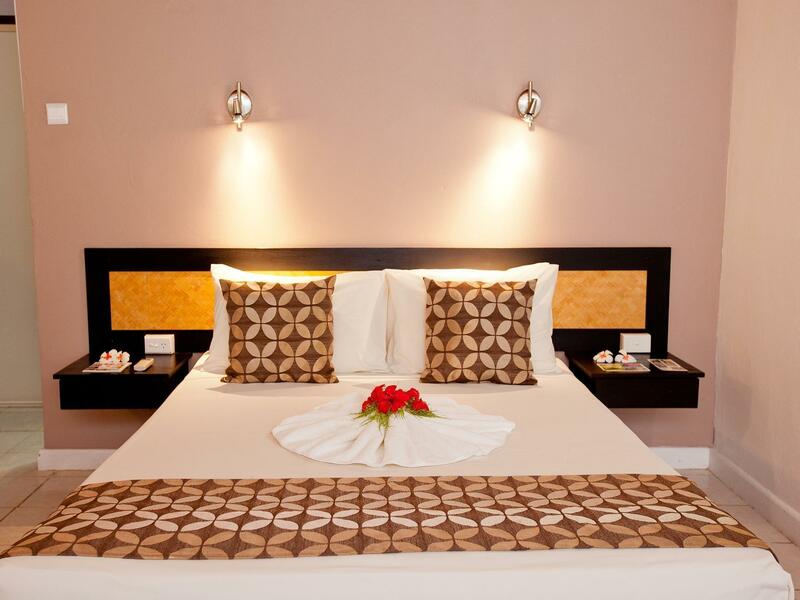 Rooms are clean and modern and serviced daily. You certainly feel more like being in Fiji rather than a big resort that could be anywhere in the world. Little dairy over the road is handy. 10 min walk over to the Shangri La where you can access all their facilities for free. We would often head back over to Geckos though as it always felt crowded over the road. We are definitly heading back soon.